Homesdirect are proud to introduce this gorgeous, stunning wooden 3 drawer Antique French Style console table. A perfect addition to add to any room to give it that amazing white, French look. 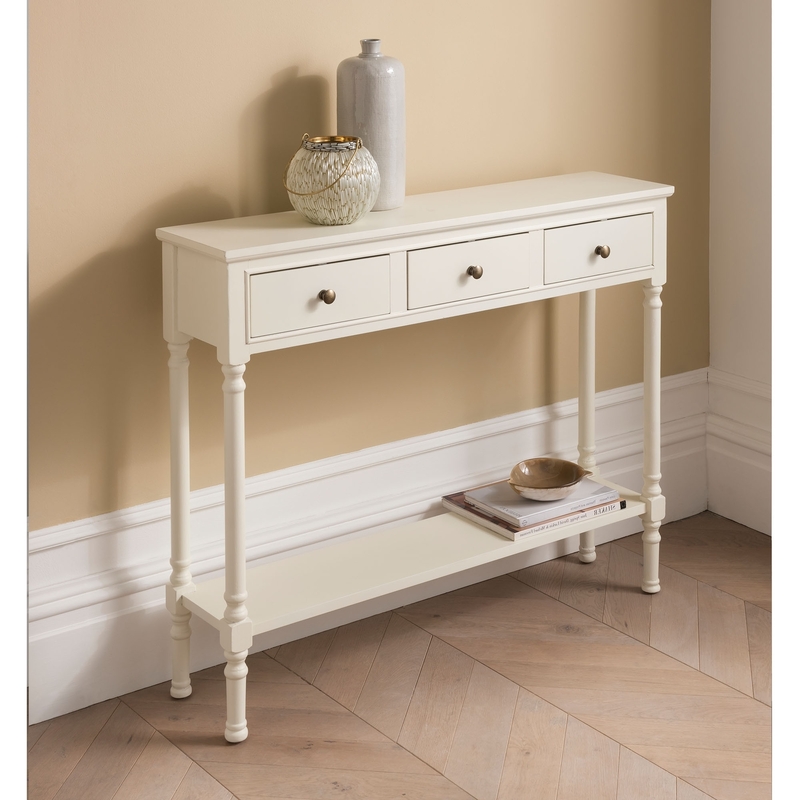 This gorgeous 3 drawer console table is an eye - catching yet subtle piece of furniture, ready to easily fit within any decor and go wonderful with our beautiful shabby chic console tables and furniture.